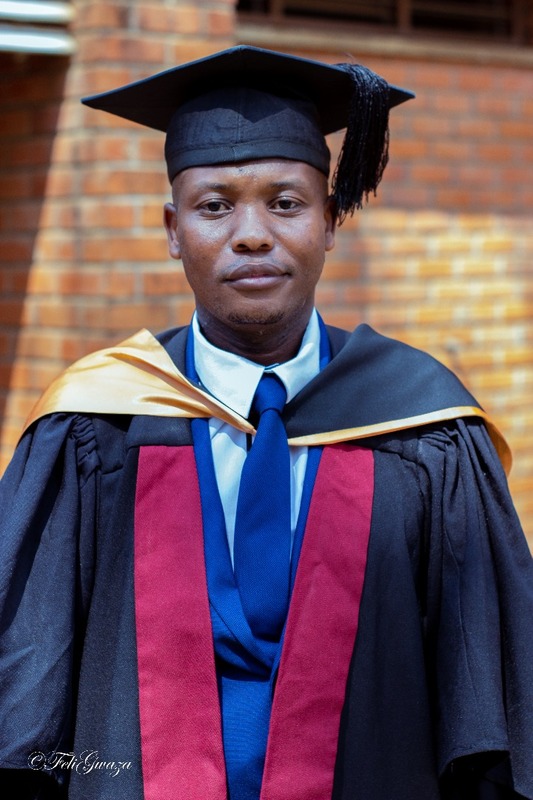 Joseph finished his studies with a thesis about the corporate social responsibility of mining companies in Malawi in Summer 2018 and received his degree at a graduation ceremony in October 2018. I would like to sincerely thank you for selecting me as the recipient of the ZIKOMO organisation scholarship to study bachelor of Law (honours) degree at Chancellor College, University of Malawi. I am truly thankful for your financial assistance and commitment towards my studies. 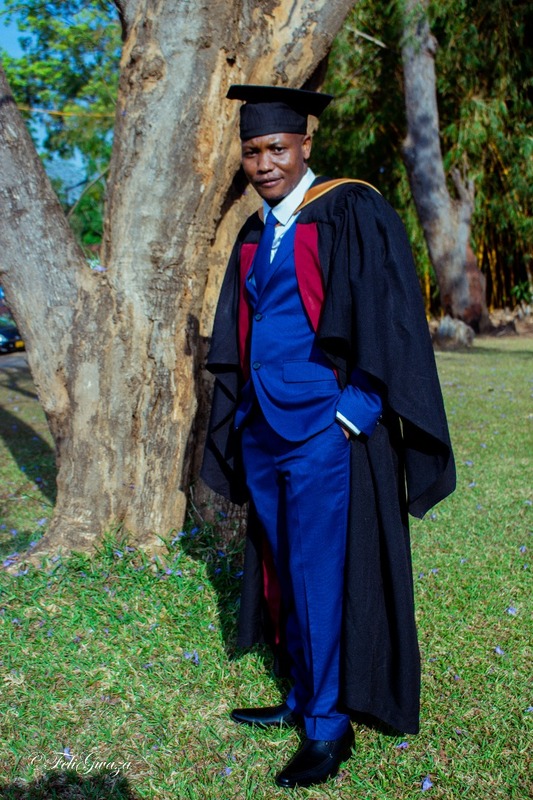 One of my greatest dreams has been earning a bachelor of laws at the University of Malawi and this would never have been possible by now without a generous donor like ZIKOMO which covered my tuition fees in full. I can happily tell you that I have now earned a Bachelor of Laws - second upper class. I fell so proud about this. I am glad to let you know that I am the first person in my family to attain such higher academic university qualification. Thank you once again for the life-changing gift you have given and equipped me for a lifetime of success. I am looking forward to working with ZIKOMO in helping young African students particularly Malawian young people to achieve their academic goals just like you have helped me. 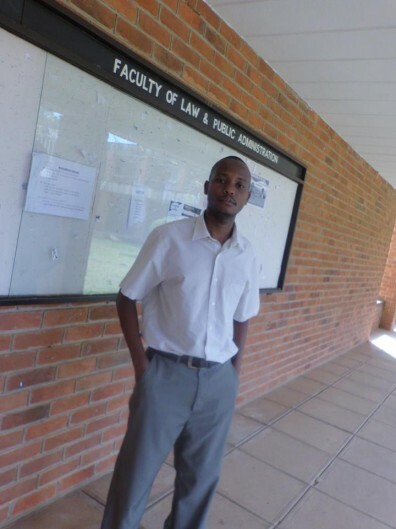 My dream is, that one day after this bachelor’s degree, I am able to pursue a Master’s degree in either commercial or banking law. 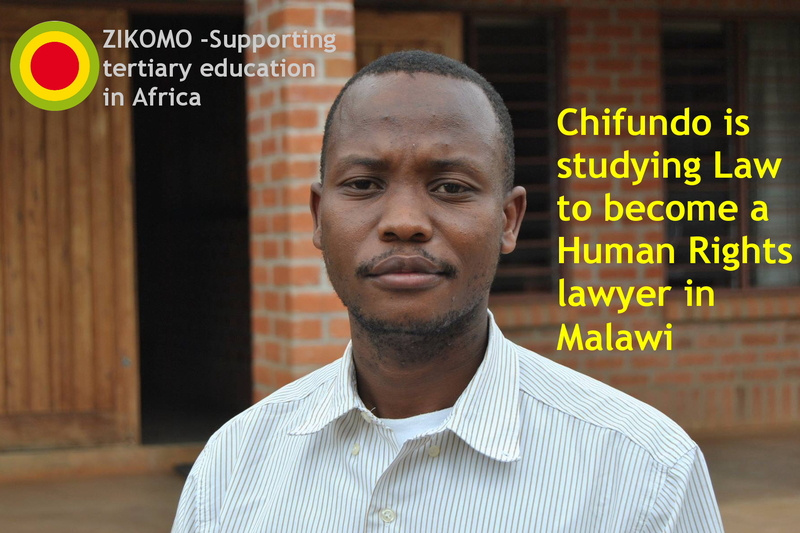 I would like to express my thankfulness to the entire ZIKOMO organization for providing me with support of school fees for my education. This is a rare opportunity that I have got in my life. Mere words cannot express how happy I am to be sponsored by ZIKOMO. Once again, dear donors, thank you so much for your generosity. 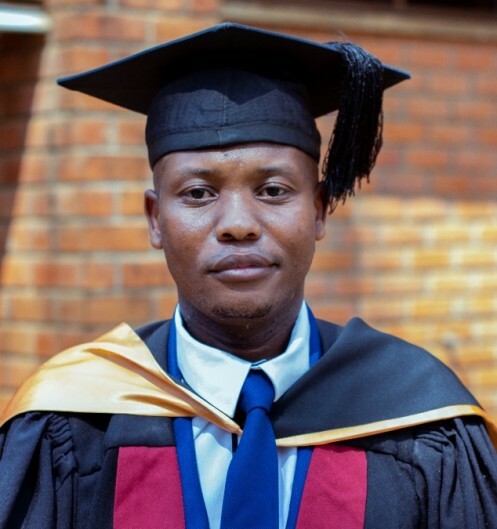 Without your help I would not manage to study because both of my parents died and am staying with an uncle who cannot afford to pay school fees as tertiary education in Malawi is extremely expensive. I promise that I will work hard for my dream to be realized. 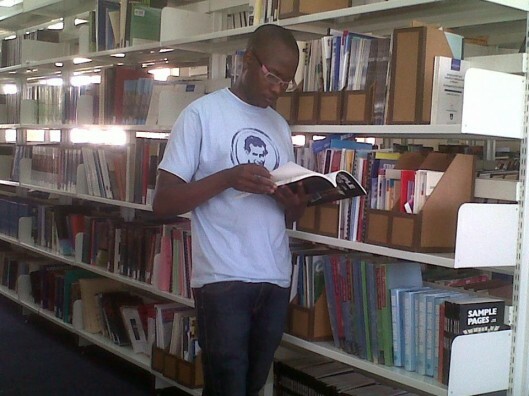 My dream, once I finish my studies, is to work in the area of human rights, to bringing justice especially to those people whose rights are trampled, like the rights of the poor youth here in Malawi. I would like to express my sincere gratefulness for accepting to sponsor me with my university fees. Joseph and Mbene Mwambene, Malawian actor, currently based in Bern, Switzerland. 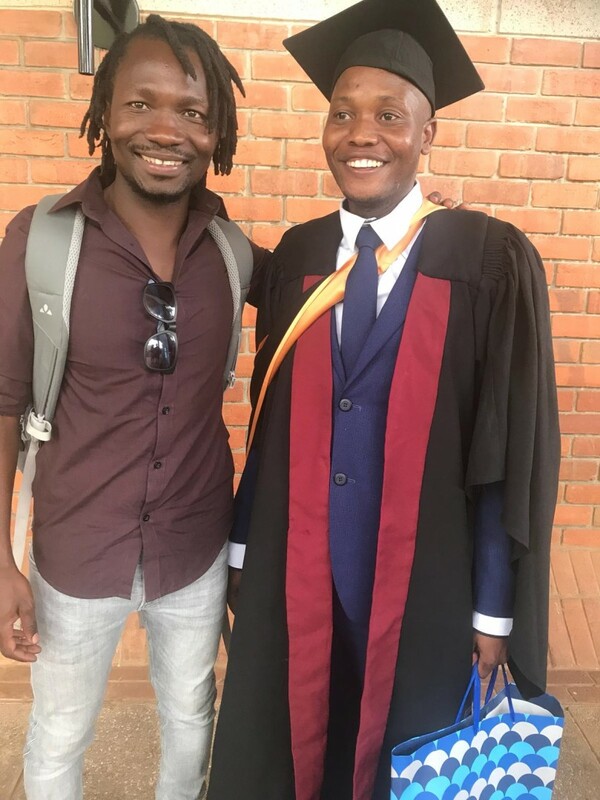 On a trip back to Malawi, he was able to join the graduation ceremony of Joseph.